I had to see it to believe it myself. Never have we seen a small business start from scratch, generate 25 reviews, and go from zero to #3 in a Google Search so quickly. 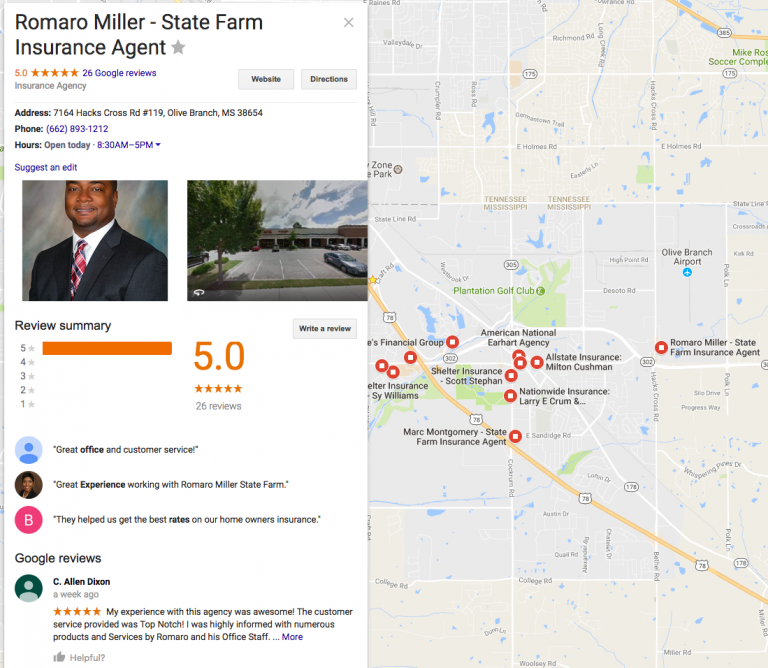 Independent insurance agent Romaro Miller did all of this and more in only 17 days, proving the SalesRater Simple Reviews system does much more than just generate reviews. Simple Reviews has transformed Romaro’s business, almost overnight. 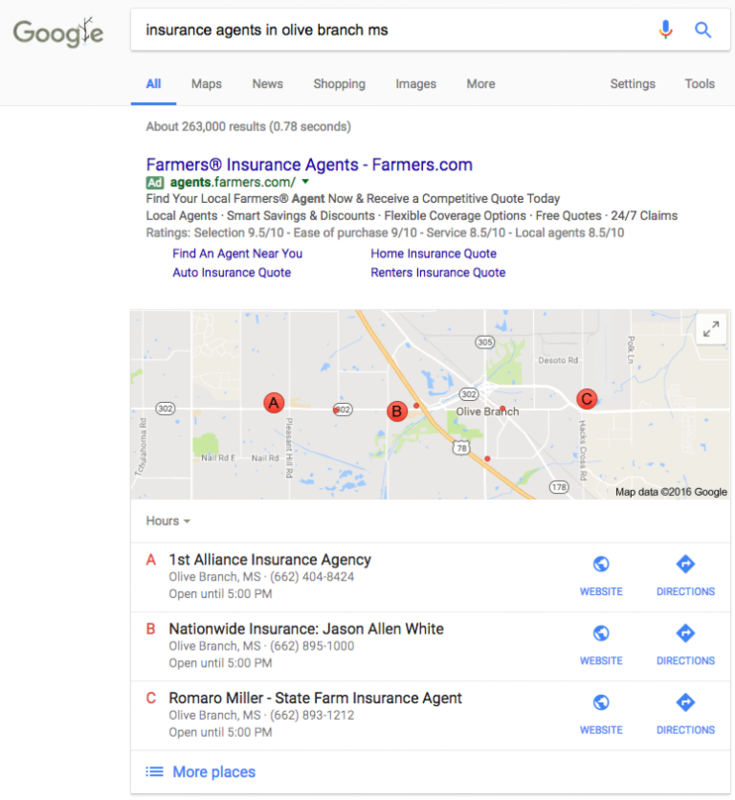 Do a Google Search for “Insurance agents in Olive Branch MS” and (depending on your location) you should see Romaro appear in the top 5 search results. Click on his listing and you’ll see his 25+ positive Google Reviews that didn’t exist just 3 weeks ago. Here’s the best part – Any business can get amazing results by generating online reviews using Simple Reviews by SalesRater. And, with a one-step process, every employee from CEO to janitor can begin requesting reviews from their customers. It seems obvious that Google rewards those with Google Reviews by giving them premium organic placement in Search. And, if you’re showing up on page-one Google when people are looking for your products and services, it’s pretty clear that your business is going to benefit from more customers, more sales, increased trust, higher visibility, and better online presence.